HotelTonight has introduced what may be the best reason to buy a last-minute ticket to Australia. The last-minute booking app is offering up a once-in-a-lifetime deal on a secret stay in one of Australia's most beautiful locations. 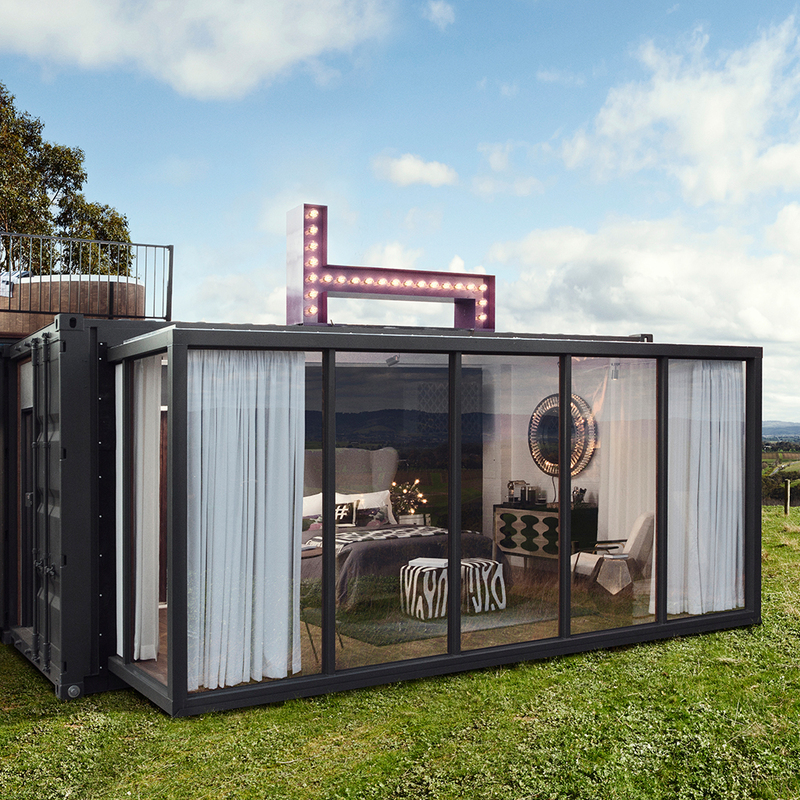 The Spontaneity Suite—which is made of two 20-foot shipping containers—is located on a secluded hilltop in the Yarra Valley, one hour from Melbourne. Usually, this lodging would run you $32,000. For five nights (August 27th-August 31st), one-night stays will go for $99 on the HotelTonight app. After the Yarra Valley, the traveling suite will make its way to a secret location in Sydney and a slew of other stunning locations around Australia. If you miss the $99 deal, never fear: The suite is also available for booking on the app September 1st for a lottery of sorts. Every 10 minutes, the price will drop $1,000 until it's gone. So what comes with a $32,000 hotel room, you may ask? Guests can expect a rooftop Jacuzzi, terrace, floor-to-ceiling glass windows, return limousine transfer from Melbourne, all-inclusive meals and minibar, an Apple TV, cocktail station, a wine-tasting tour at the TarraWarra Estate, and access to HotelTonight's personal mobile concierge. All of the money raised from the room raffle—both the $99 and the final night lottery—will be donated to food rescue charity OzHarvest. Keep an eye on HotelTonight for updates and more information.